SPOILER WARNING: This article contains major spoilers for "Memorabilia," the latest episode of The Flash. The Flash's Sherloque Wells is familiar with the Mad Hatter. In "Memorabilia," the latest episode, Sherloque introduced Team Flash to his Memory Machine, which allows him and a partner to access another person's subconscious. As he explained how this particular piece of technology works, he namedropped a classic Batman foe: Jervis Tetch, aka the Mad Hatter. "May I present to you... the Memory Machine. Many times I have entered into people's minds using this very technology, from the unfortunate comatose victims of the Summerholt Institute to, yes, Jervis Tetch himself, the terrible Mad Hatter killer from Earth-221," Sherloque revealed to the team. 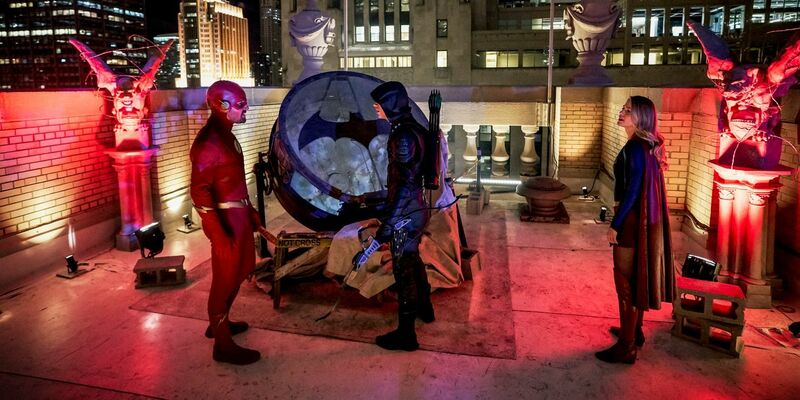 RELATED: Did a Batman from DC's Dark Multiverse Just Join Arrowverse Continuity? Later, Nora attempted to use the machine on her own so that her father Barry wouldn't learn she has been working with Reverse-Flash. Because of the Dark Matter in Grace Gibbons' brain, Nora got stuck, with Grace attacking Nora as if she were a pathogen. As Team Flash explored their options, Sherloque revealed the consequences of staying in the Memory Machine too long. "Remember I told you about the Mad Hatter? He was also brain damaged, so -- after my dispute with Watson and my fourth wife -- Watson pursued the case on his own, until the day I found him hooked up to that machine and... brain-dead," he said. As such, it seems Mad Hatter brought Sherloque's partnership with Watson to a fatal end. In the comics, of course, the Mad Hatter is a classic villain who debuted in 1948's Batman #49. Created by Bill Finger and Lew Sayre Schwartz, Mad Hatter uses his background as a scientist to create mind-controlling technology, so his association with The Flash's Memory Machine makes a lot of sense.